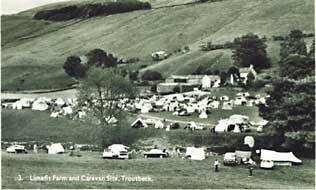 Limefitt Park is a large area of 'lodge' holiday accommodation spread across the lower slopes of Applethwaite, on the east side of the Trout Beck opposite Troutbeck Village. Originally conceived as a camp site, Limefitt has had many changes in ownership in recent years. 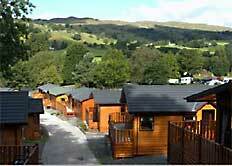 Tents and caravans are no longer permitted, and the site is now entirely wooden and aluminium chalet units. Troutbeck Village Association wants to ensure that future development at Limefitt is strictly limited, and that everything possible is done to improve its appearance and setting in the surrounding landscape. We believe that we share these objectives with many Limefitt lodge owners. Troutbeck residents extend a warm welcome to these many lodge owners and regular visitors who share our valley every year. We are keen to encourage them to participate in our community and to join us at all our village events. This excellent lodge owner's website has lots of useful information about the park itself, together with Troutbeck village and the surrounding area. Limefitt facilities information has been compiled from public websites, and we are not responsible for its content. Please check with these websites for the latest updates.